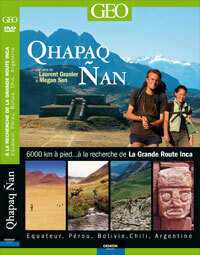 DVD "Qhapaq Ñan" recaptures all the details of this amazing quest aimed to bring attention to this epic road. Illustrated Book. 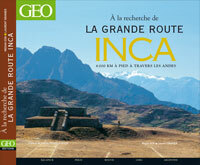 "In Search of the Great Inca Road : 6000 kilometers across the Andes", a beautiful way to experience the extraordinary journey of Megan Son and Laurent Granier. A tale of adventure, punctuated with breathtaking photos, exciting discoveries and unforgettable encounters. 28,5 x 25,5 cm – 256 pages. Save about 10 € with the Combo offer. *If you live in Metropolitan France or the delivrered adresse is in Metropolitan France, use the French shop to to profit free shipping. Discover all our books on studionomade and use the same Paypal basket system.